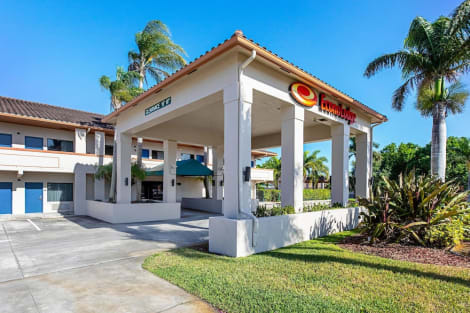 With a stay at Howard Johnson by Wyndham Vero Beach / Downtown in Vero Beach, you'll be within a 5-minute drive of Indian River Citrus Museum and Vero Train Station. This hotel is 1.3 mi (2 km) from Vero Beach Country Club and 1.7 mi (2.7 km) from Royal Palm Pointe Park. Enjoy the location Dazzling Vero Beach Oceanfront Hotel. 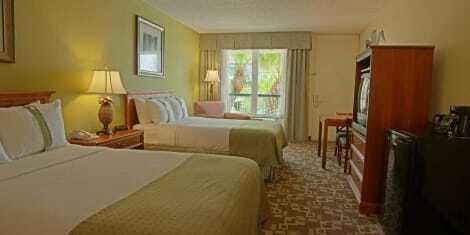 The Holiday Inn® Vero Beach - Oceanside hotel guests enjoy beaches, beautiful sea views and excellent customer service. 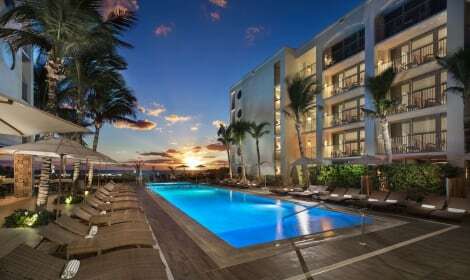 Surrounded by shops, restaurants and entertainment options, the hotel's enviable location in Vero Beach, FL is on Orchid Island Beach, Florida separated from the mainland by the Indian River Lagoon. The hotel's seaside places guests close to excellent leisure opportunities for recreation and entertainment options, including the Riverside Theater and Vero Beach Art Museum. Nature lovers will enjoy the parks and gardens, including the McKee Botanical Garden, while history buffs to explore the renowned Breconshire wreck of the steamship.Business travelers will enjoy easy access to many companies in Vero Beach near the location of this hotel's beachfront. The function room on site and can accommodate up to 90 people, offering a place for meetings with clients. Wi-Fi throughout the property helps guests stay connected to the house back office, as well. Our full-service accommodations offer much more than one location at the seaside Vero Beach. Hotel amenities include a heated outdoor pool, a laundry and a gym 24 hour fitness center and a business center. The hotel's restaurant, Mulligan Beach House serves fresh seafood and American cuisine throughout the day. Plan your next vacation Vero Beach Holiday Inn ® hotel in Vero Beach today! You don’t have to be a pirate to find gold along the Treasure Coast (in fact, it’d be better if you weren’t), because at Kimpton Vero Beach Hotel + Spa, your spoils await. Whether it’s a family vacation loaded with outdoor activities, a romantic dream wedding, or just wiggling your toes in the sand with the trade winds blowing through your hair, you’re in the right place. And the only thing that will obstruct your ocean view is the cocktail you’re toasting the good life with. lastminute.com has a fantastic range of hotels in Vero Beach, with everything from cheap hotels to luxurious five star accommodation available. We like to live up to our last minute name so remember you can book any one of our excellent Vero Beach hotels up until midnight and stay the same night.